Doug Wrightsel is a graduate of Denison University (B.A. 1962), where he was a member of Pi Sigma Alpha, political science academic honorary. He then attended Vanderbilt University School of Law where he was a member of the Order of the Coif, and received his J.D. in 1965. Doug was a Staff Member and Associate Editor of Vanderbilt Law Review. Doug Wrightsel has experience in Probate/Trust litigation that has included will contests (primarily defending them), actions to construe and challenging validity of trusts (primarily representing trustees), taking action to validate and qualify charitable remainder trusts through use of disclaimers and construction actions, representing fiduciaries and beneficiaries (charitable and individual) in tortious interference actions, and related types of litigations related to the rights of charitable and other estate and trust beneficiaries. Doug has appeared as an expert witness in probate/trust and attorney malpractice matters. He has experience in mediating probate disputes. 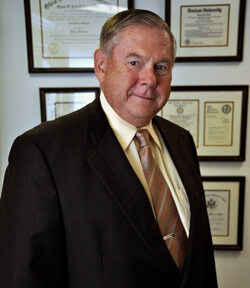 Doug is a former Partner/Director at the firm of Kegler, Brown, Hill & Ritter, located in Columbus, Ohio. Doug is a frequent lecturer in the area of trusts and estates for the Columbus Bar Association, Ohio State Bar Association and other organizations. Doug has been selected for The Best Lawyers in America in the area of Trusts and Estates for fourteen (14) consecutive years. 2008 recipient of the Columbus Bar Association Bar Medal Service award. Brad is a graduate of Denison University (B.A. 1988). He then went on to study at Ohio Northern University, where he was an Associate Editor of the Law Review, and in 1993, received his J.D. Brad's practice focuses in all areas of estate planning and charitable planning. His practice includes probate administration and litigation, with experience in trustee representation and will contests. His practice includes setting up legal entities. He has been involved in a number of real estate transactions. He has experience in representing taxpayers in filing complaints against the value of real property before the Board of Revisions and the Board of Tax Appeals. He is a former Magistrate for Franklin County Court of Common Pleas, Probate Division. Brad has also been an occasional lecturer for the Central Ohio Alzheimer's Association, Columbus Bar Association, Ohio State Bar Association, Ohio Notary Association, Grandview Civic Association, and Grant/Riverside Hospitals Speaker's Bureau. 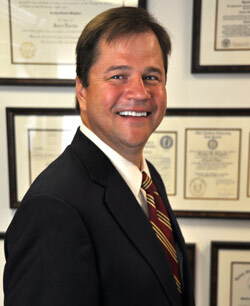 Brad was selected as one of the Top Attorneys in Ohio, which appeared in Cincinnati Magazine in January 2010. Brad was an Ohio Super Lawyer in the areas of estate planning and probate in 2010, 2011, 2012, 2013, and 2014. Since 2006, Brad has been certified as a specialist in Estate Planning, Trust and Probate Law by the Ohio State Bar Association. Brad has served on the Board of Governors of the Columbus Bar Association since June of 2006 and is currently acting as Immediate Past President of the Board. Brad has been a member of the Ohio State Bar Association's Council of Delegates since July 1, 2006 and served on the Screening Committee of the Council in 2009. Since 2010, Brad has been serving on the Estate Planning, Trust, and Probate Law Section Council. Brad is currently serving on the OSBA Elder law Specialty Certification Board. Brad is serving on the Advisory Board to the Columbus Law Library Association. Holly is a graduate of The Ohio State University (B.A. 1990). She then went on to study at Ohio Northern University, and received her J.D. in 1994, and received her law license from the State of Ohio, November, 1994. 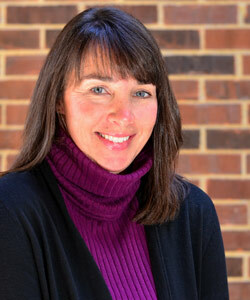 Holly was the Assistant Legal Counsel for the Ohio Department of Education in Columbus, Ohio from 1997 to 2003. Prior to that, Holly worked in private practice in Wooster, Ohio. Member of the Ohio State Bar Association.